CLOSEOUTS. 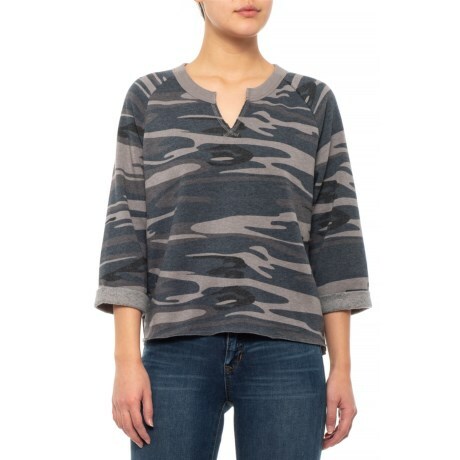 A weekend essential Alternative Appareland#39;s Champ Remix camo sweatshirt embraces the meaning of comfort with its soft, fleecy construction, relaxed fit and muted camo print. Available Colors: SLATE CAMO. Sizes: S, M, L, XL.